They’re all made out of old cereal boxes. I found a great site with step by step instructions and free patterns! If you’d like to make your own village, check out Big Indoor Trains. 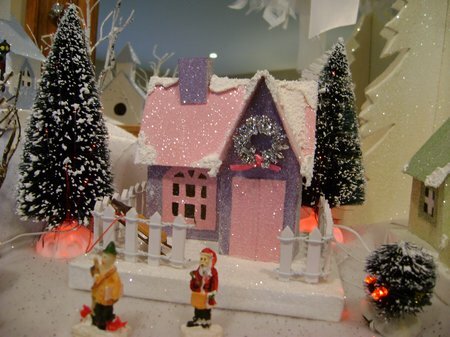 The houses were originally set up around nativities, train sets, or Christmas trees. Howard, at Big Indoor Trains, has a great history, if you’re interested. 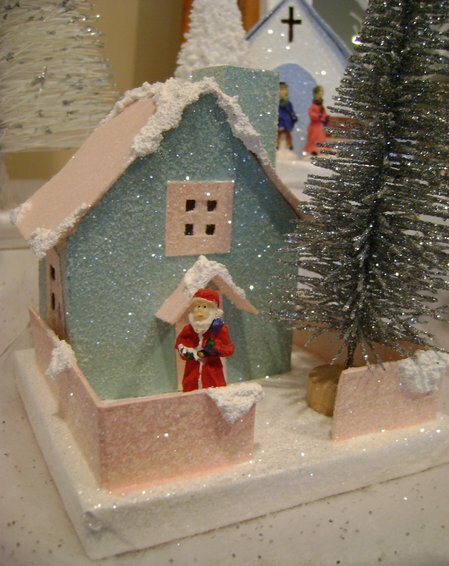 The original houses are still available at antique stores, or on ebay, but you can also create your own version. I have to say, this was a very time consuming project. I made several smaller sets for my family and friends last Christmas. They are simple to make, but involve many, many steps, and lots of time waiting for glue, paint or glitter to dry between steps. I just love how they turned out though, and hope to add one more house each year. All three of these houses are based on Howard’s “Cottage” plans, which you can get here. The only variations are with the colours, fences, and door designs. 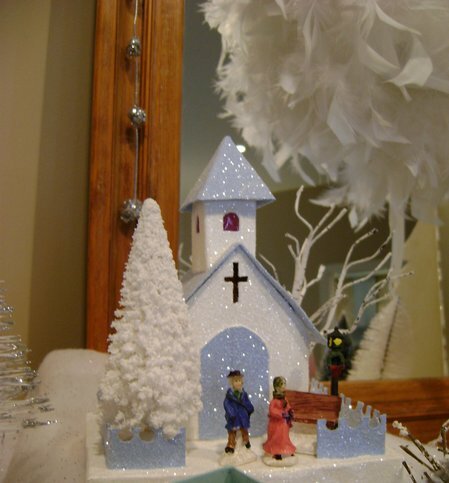 He also includes a pattern to turn the cottage into a church. I found these little people at Dollarama this year, they’re the first I’ve found that seem the right scale for the houses. After cutting the houses out of cereal and other old boxes, they are glued together. 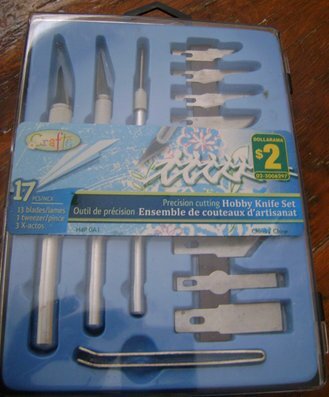 I found this great, inexpensive set of exacto-knives at Dollarama. A tip I can pass on is to use clothes pins to hold the seams of the houses together at various stages, while the glue dries. After they are all dry, and the bases have been made and covered in white paper, it’s time to paint them. I used various craft paints, again just from the dollar store. 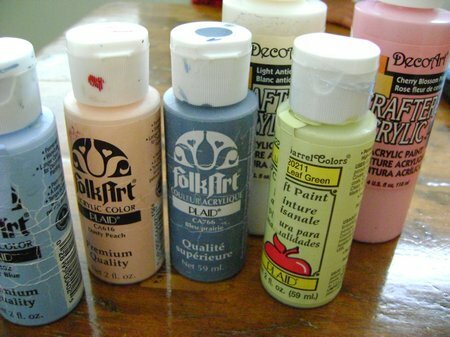 I wanted mine to all be quite light, so I ightened the colours by mixing the paint with some plain white. 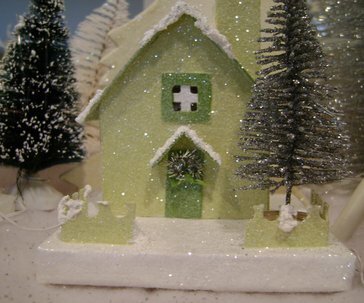 After the houses were glittered I added cellophane to all the windows. For the church, I used red cellophane, reminiscent of stained glass. Next, I added the snow. 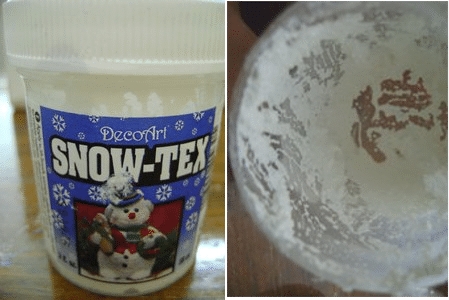 Howard uses white paint, but I went with a textured snow called Snow-Tex. I was pleased to see that the houses hadn’t yellowed at all in one year, and I really liked the raised effect the Snow-Tex adds. 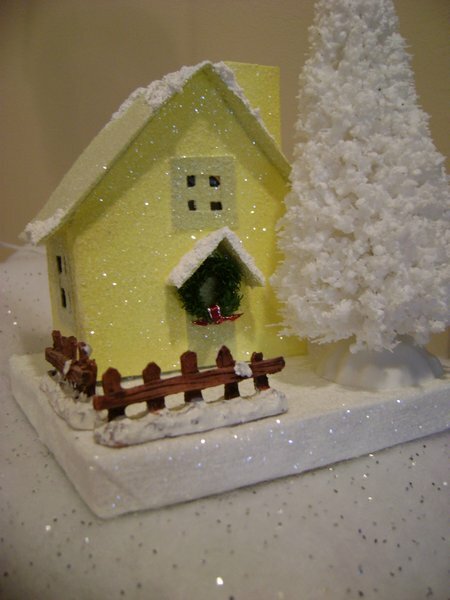 Try to add it to the places you think snow would actually accumulate on houses. You spread it on with a small knife. After all that, it was time to add a few little finishing touches. 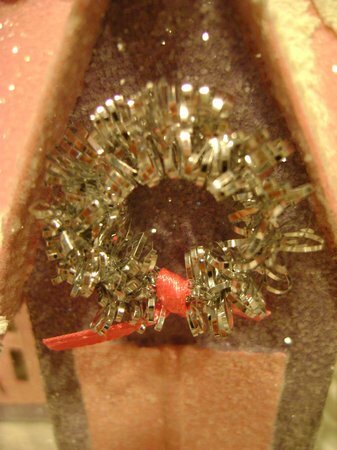 I made wreaths for several of the doors with pipe cleaners and fine satin ribbon. Howard has several suggestions for different fences. I found them quite hard to cut out, so I came up with this variation, using a hole punch. 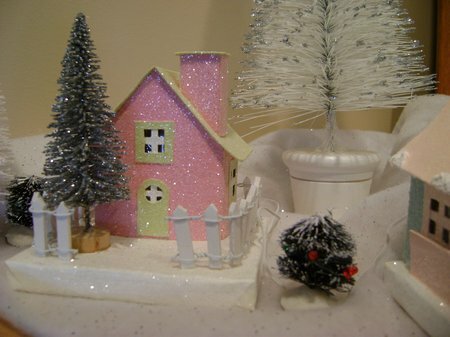 I also used the cute little picket fence, which I found at the dollar store. My tip to you is, if you’re considering this project for next year, get to the dollar store as soon as the Christmas stuff comes out to get the best selection of trees, fences, and people. After I finished making 21 of these little beauties last year, I made one more, and I have to say it might be my favorite. It’s the “Little Charmer” and the pattern can be found here. It lives up to it’s name! I’ve added various bottle brush trees, and a few bushes that light up at night. Here it is at night, with the lights on and the candles lit. Merry Christmas from my village to yours! 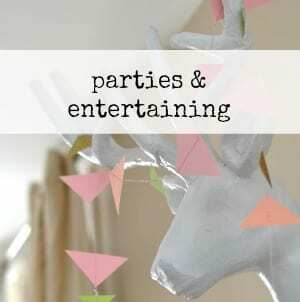 This post is linked up at Blue Cricket Designs, Deck the Halls at Tinsel & Company, Tidy Mom’s Holly Bloggy Party, Just a Girl’s Show and Share, 505 Main, Tatertots and Jello, The Shabby Nest , Beyond the Picket Fence, Under the Table and Dreaming, and FOLK. You made these?!! I am stunned. This is incredible. WOW. They are so beautiful. You could make money with this. Just gorgeous. So impressive! I’ve always loved these and am especially into the idea of making my own. I found the great info on Big Indoor Trains but just have never gotten my you-know-what together. You’ve inspired me! Beautiful job! I have always love these little paper houses. Yours are adorable. First of all thank you for stopping by my blog and for your kind words. Your houses are so lovely! I have plans to make more for sure. I have a feeling I will be stopping by your blog often! Happy Holidays! O My!! I can’t beleive you made these! They are just wonderful! I LOVE them!! 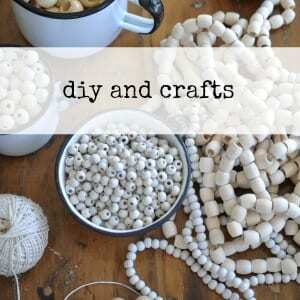 Thanks so much for sharing the site on how to make them! I love these houses. They are beautiful. I love how you have accessorized them. What a beautiful setting. You made all of them out of cereal boxes??!!! WOW, great job! 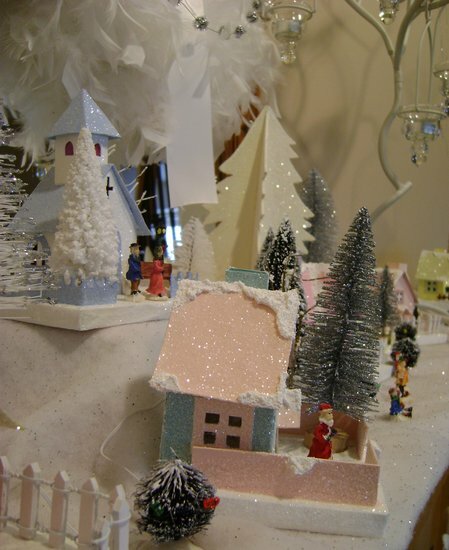 It’s a beautiful Christmas Village. Thanks you for sharing! These are fabulous!!! I was going to make my own set. But I ended up finding some on clearance last year. But I still think it would be fun to make some. You did a fantastic job. I saw this on Tatertots and Jello and was blown away! This project is absolutely stunning and I had to pop over and tell you so. What a beautiful project and I love every thing about it. It’s hard to believe something so beautiful started from humble beginnings. Thank you SO much for sharing. I’ve bookmarked this page and the links you provided. I would love to try this for myself (not sure if I can make it work, but the resources are saved). Oh my goodness!!! I am in love! Awesome job! These are so sparkly and magical looking. I think I will give these a try next year, thanks so much for sharing! I am absolutely in LOVE with these little houses. I wanted some vintage ones but they are hard to find. Making them out of cereal boxes is the perfect solution. I’ll get started on my village for next year! Thanks so much for sharing. Happy Holidays! Do you ever just want to pat yourself on the back? You did amazingly wonderful! No wonder you were so excited to dig them out of the box and set them up. As a child we had these on our tree and they were always my favorite. So glad I found these thanks for sharing and providing us with Howard’s link with info. Did not know they were called Putz houses. We used to live in Ottawa but in order to be closer to family we decided to move and now live in Saint John, NB. These are absolutely gorgeous! I can’t believe you made them all – so professional looking. I am going to try my hand on making one next year. Thank you so much for sharing your expertise and links. They’re even better when they’re sitting on your mantel at home 🙂 Dannyelle, these are so beautiful; I love having them out as we get ready to celebrate Christmas. You are amazing! I absolutely love these. 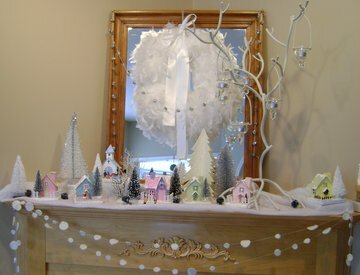 I have a few houses (not Putz) that I have bought, but I am determined to make many of these for next season. I am saving your tutorial. I hope mine look as good as yours. Thanks for sharing. I’ve been looking at these for the last couple of weeks and you have some of the nicest ones I’ve seen. Great job! 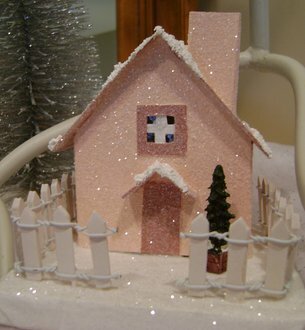 I love these beautiful glitter houses. What a beautiful creative idea! Thank you for sharing! I am now a faithful follower..what a fantastic blog! 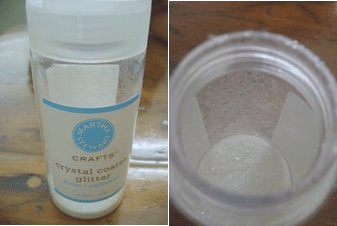 I made a few new ones this year with my cricut machine, see the post here or look for on the side menu “Glitter Houses for Two Sweet Little Girls”. Thanks for your encouragement, I loved yours too. What an amazing blog! You did a wonderful job with the houses. Will be back. WOW! This is anazing. Thank you for sharing it. A lot of hard work and thought must have been put into this. 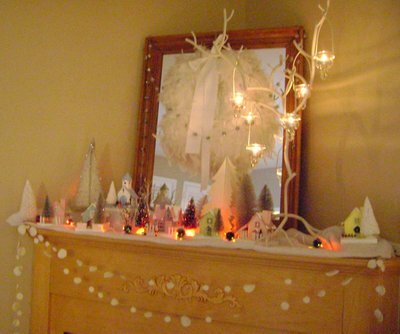 These are absolutely adorable and definitely make you think of Christmas! Glad you shared. Merry Christmas! I’ve spent a fortune at the Home Goods Store buying houses that look very much like yours. 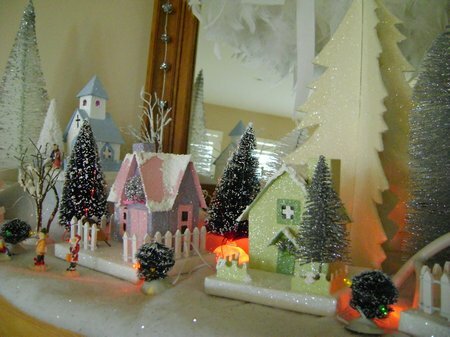 The houses I bought were just cardboard with paint and glitter and snow. I think I’ll try to make some too and save mega bucks. Thanks for posting this for us. Beautiful! Several yrs. ago my husband made miniature versions of the old Hereford depot, barns, stalls, and other landmarks in our town fr. matchboxes and cereal boxes. They were so well-made and realistic-looking that I share them with the 3rd gr. classes when they make their own villages for Social Studies. Your little houses reminded me of his “town”and farm. Keep up the good work. You are so talented! Really beautiful job–sweet, sweet, sweet. these are beautiful! hope i will be able to make them for each grandchild. Hi Dannyelle, I’m thinking of making some of these for my daughters for Christmas. When I clicked on the link for the “Little Charmer” I got an error message saying the page was no longer available….any suggestions? Link is fixed, thanks for letting me know it wasn’t working. Best of luck on your building project, I’d love to see pictures when your done, you could post to my Facebook page. 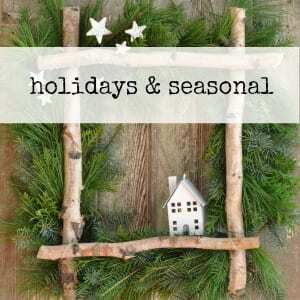 It’s the perfect time to start a Christmas project like this one. 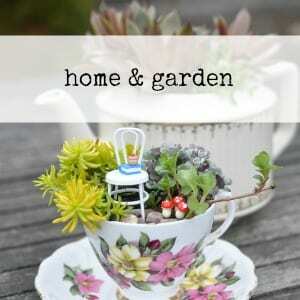 Love your little houses! 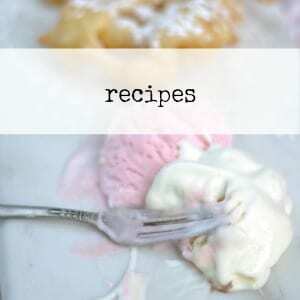 Can’t wait to try making one! Hi Gail, Thanks so much. You can subscribe for email notifications of new blog posts on the right hand side, in the box just put your email. Loved looking at your ‘little house’ village. 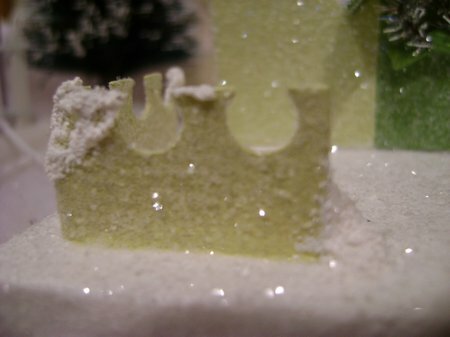 I have cut out a couple with my Silhouette, and am thinking about putting a whole village together this year! I know it’s July, but probably a great time to get started. Thanks for the inspiration! July is the perfect time to start! Have fun creating your village.